The process of becoming a doctor is a major undertaking. There's rigorous coursework, grueling residencies and minimal sleep. Just getting into medical school is extremely difficult. It requires extensive pre-requisites, a lengthy application process and a high-stakes four-hour-long exam. The pressure of all that has gone through the roof this med school application season due to a much longer version of the Medical College Admission Test, or MCAT. Beginning in April, aspiring medical students will have to take an MCAT that's nearly double its current length. 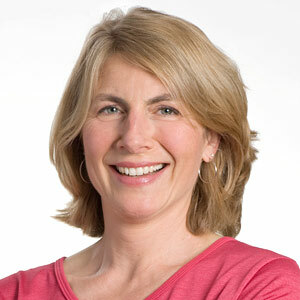 WBUR's Sacha Pfeiffer finds out why these changes are being made and how the medical community is reacting. Barbara Moran, pre-med student in Brookline. Carey Goldberg, co-host of WBUR's CommonHealth blog. She tweets @commonhealth. "Denby, a 36-year-old consultant who is now pursuing a medical career, was not amused by the prospect of facing the new test." USA Today: Revamped MCAT Due In 2015, Should Students Wait For New Test? "Beginning in the spring of 2015, the standardized test for admission into medical school — the MCAT — will be about two hours longer and contain more critical thinking, biochemistry, sociology and psychology questions." MCAT: Which Exam Will You Take? "There are two primary factors to consider in deciding whether to take the current MCAT exam or the MCAT2015 exam. The first question is when you want to start medical school. The medical school admissions cycle begins the year before you start medical school." This segment aired on October 27, 2014.